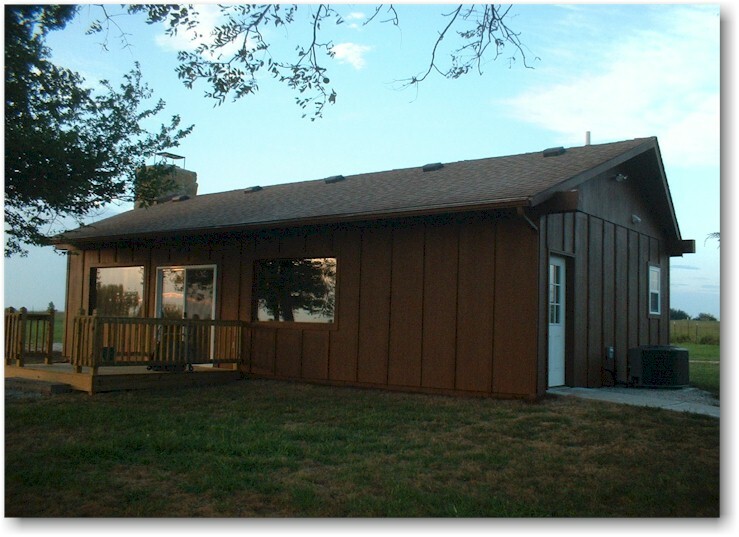 This building serves as a beautiful meeting room, and is located just down the road from the Farm House. The Fireside Room takes advantage of the beautiful setting by featuring three large picture windows and a large sliding glass door to bring the beautiful outdoor scenery inside. 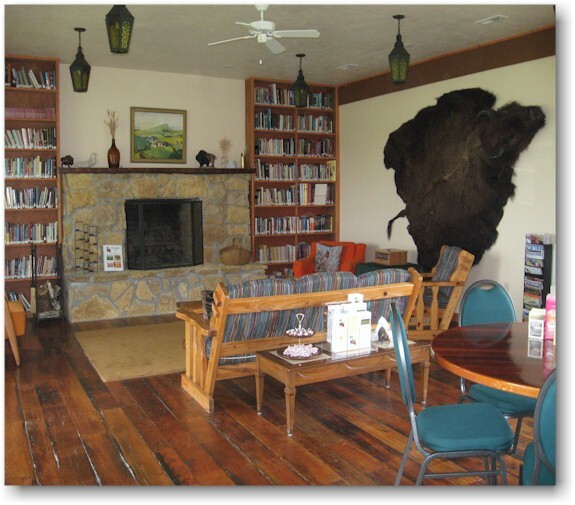 This building also houses the library and features a large fireplace made from native stone. There is a small kitchenette and bathroom. We can accomodate around 30 people in this room. 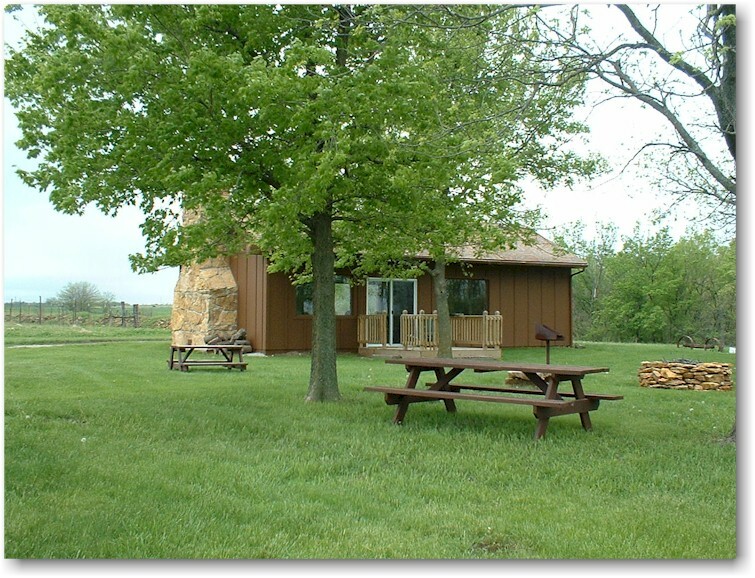 Outside of this building is the picnic area.